Cisco CCNP security certification: Cisco is one of the most powerful networking company in the world. Known for producing solutions for the IT, energy management, and domain security, the company also created a credential program for IT professionals. There are five levels of Cisco credentials: entry, associate, professional, expert, and architect. Regardless of your previous IT experience, you will always find Cisco certification that will suit your professional needs. Being Cisco certified means that you possess the skills required to work in most advanced IT companies. If you have any questions, here we listed some links you can use to learn more about the Cisco credential program, exams, and preparation materials. 300-208 SISAS. This exam covers topics such as secure access, identity management, threat defense, and more (see the details below). 300-206 SENSS. This test focuses on topics such as threat defense, management GUIs and CLI, and more. 300-209 SIMOS. This exam includes topics such as troubleshooting of secure communications, reporting and monitoring tools, and more. 300-210 SITS. This test is intended to validate the candidate’s skills related to securing the content, protecting the network from threats, and many more. Upon successful completion, you will be CCNP certified thus making you eligible for CCIE Security certification (expert level). In this article, we will focus on exam 300-208 (SISAS), the first exam required to earn the Cisco Certified Network Professional (CCNP) Security credential. This way, you will be able to see how the credential process works. The 300-208 exam is important because it is a requirement for you to earn your CCNP Security certification. it assesses your capabilities when it comes to managing identity and ensuring its security. It also tests your understanding of monitoring, troubleshooting and reporting information associated with security threats in a system. Its prerequisite is a certification in CCNA Security or any certification in CCIE. 300-208 exam is administered by Pearson VUE through the online platform. Be ready to complete a total of 55-65 questions at the exam, that come in a variety of formats such as multiple-choice, scenario-based, active screen and practical questions. You are expected to complete the whole exam within 90 minutes. The pass mark for this exam is quite high and failure to attain it qualifies you for a retake exam. You can take the exam anywhere in the world at a cost of $300. Upon successful completion of this exam (and the other 3), you will receive your certification almost instantly in a PDF format. Unfortunately, this treasured credential expires after 3 years and a recertification is required. The advantage is that the re-certification allows you to update your knowledge and skills in order to remain relevant in the IT industry. For more information, visit the official Cisco website. We have witnessed rapid advancement in technology in recent years. Sadly, this advancement came with advanced security threats. CCNP Practice Questions & Training Courses Security professionals came to the rescue hence their popularity. People are looking for jobs that could earn them good money. CCNP Security happens to be one of them. It pays between $41,000 to $ 133,000. This is a lucrative amount for most people. It is undeniable that Cisco is known for its quality training. Cisco offers intense training programs that ensure that all applicants grasp the required skills before they are certified. The training materials are available online and are detailed enough to provide all the concepts needed. Majority of the graduates are qualified, reliable and never disappoint. For this reason, CCNP Security is popular. 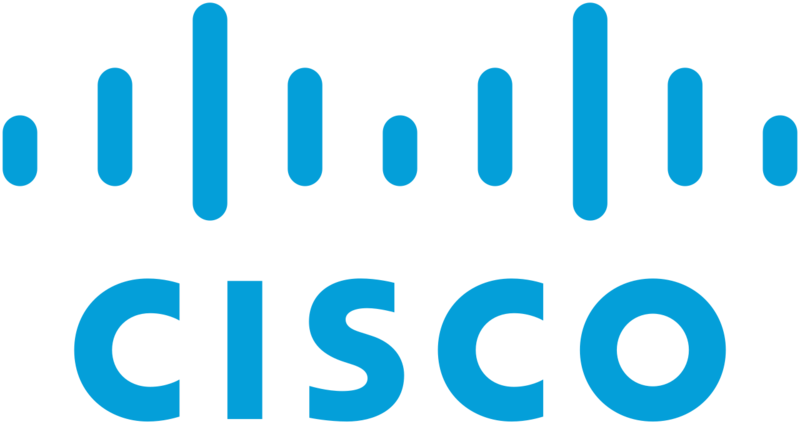 Cisco invested a great deal in marketing all its products – including their certifications. It has managed to build a strong brand and maintained its reputation over the years. Most companies have adopted the Cisco technologies and products. Through this impeccable marketing, CCNP Security has gained its popularity around the globe. Before sitting for this exam, it is recommended that you receive training for you to be familiar with what to expect during the exam. A variety of training materials are available online without charges. Cisco offers a 5-day instructor-led training that teaches engineers how to deploy Cisco Identity Service Engine (ISE) as well as the 802.1x Security of network access. Other useful skills acquired from this training is the ability to use the Cisco ISE appliance product solutions in managing and implementing network access security. Alternatively, you can opt for a 90-day self-paced training that is availed online for those who will not attend the 5-day training. Other exam preparation options include the use of practice tests, exam dumps and access to authentic literature such as Cisco eBooks. Whether you choose instructor-led training or use the study material, the skills you learn will adequately prepare you for the exam ahead. Why should you be Cisco certified? The certification itself confirms that you have the knowledge to perform complex security configuration. In other words, the credential talks for you. Whenever you are looking for a job or clients, Cisco certs always attract their attention. Cisco certificate holders are in demand and if you are one of them, consider yourself a precious commodity. These credentials build your reputation and showcase your capabilities. It shows your commitment and dedication to your work and a great observation of work ethics. All these factors will make any employer want to retain you at all costs. Now that you have acquired more skills, your confidence triples! You believe in yourself and you are confident that you can produce quality work. This allows you to spread your wings and take up even the most challenging work in the world. You are capable of achieving unimaginable tasks that could revolutionize IT. It is a requirement by Cisco that you recertify every 3 years. This owes to the fact that IT is dynamic and embracing these changes is the only way to survive. Recertification enables you to refresh your knowledge and update your skills. Keeping up with current trends helps when it comes to providing solutions to problems that may arise. Who wouldn’t be confident when a certified professional is handling their matters? The certifications you possess ease your employer’s doubts and assure your clients that you have what it takes to do what they want to be done perfectly. This confidence can work in your favor by exposing you to more business through referrals. If you would like to broaden your skills and take a step to the new specialization, you may consider passing 300-180 DCIT exam, which belongs to CCNP Data Center certification track. Each day, new security threats arise. This has led to an increase in demand for CCNP Security professionals to handle the situation. Without them, the whole IT systems may succumb to attacks. The exams to be taken are quite tough but it should not worry you. The training you receive is enough for you to succeed!